Magic By Mimi is an Etsy shop with an incredibly apt name. 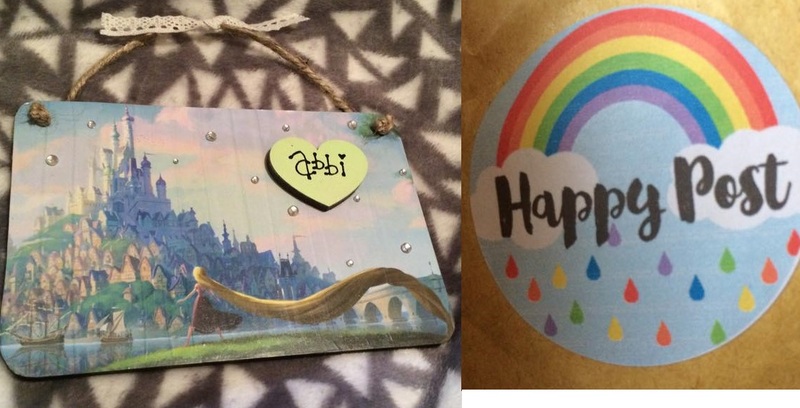 You will find gorgeous Disney plaques that are just gorgeous and so nostalgic. I was immediately drawn to the Tangled one as it's one of my favourite Disney films and the picture on the plaque is gorgeous. I went ahead and ordered it and I'm so pleased with how it looks in person! Here's my beautiful plaque! The owner of the shop kindly personalised it for me which is such a cute touch. As you can see, the picture on the plaque is amazingly pretty! There's some rhinestones secured on there too which adds to the effect. The plaque is hung by its twine handle which has some crochet/lace ribbon attached on there - how sweet! Overall, I'm absolutely thrilled with my plaque from Magic By Mimi. It looks as gorgeous in person as it looks on her shop which is always a plus. Go ahead and check her out!